After posting that video, she found one of mine and dropped me a line. We corresponded back and forth about the danger of Aminopyralid and I asked her to write up her complete tale of herbicidal woe. Tomorrow she shares her story here in an in-depth post you won’t want to miss. The characteristic twisting of the new growth makes it obvious once you’ve seen it once. Aminopyralid inhibits the cell stacking function of the plant, causing fractal-like distortion. Some plants, like melons and greens, are a lot less susceptible. Others, like beans, tomatoes and eggplant are very sensitive. Grasses, such as corn, won’t show any problems at all. The terrifying thing about Aminopyralid – and its trademarked product Grazon – is that it’s now everywhere. 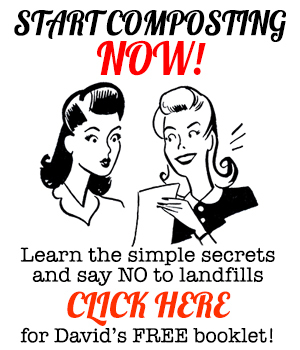 Get my FREE booklet Stretch & Grow Your Compost – click here to subscribe to the newsletter! 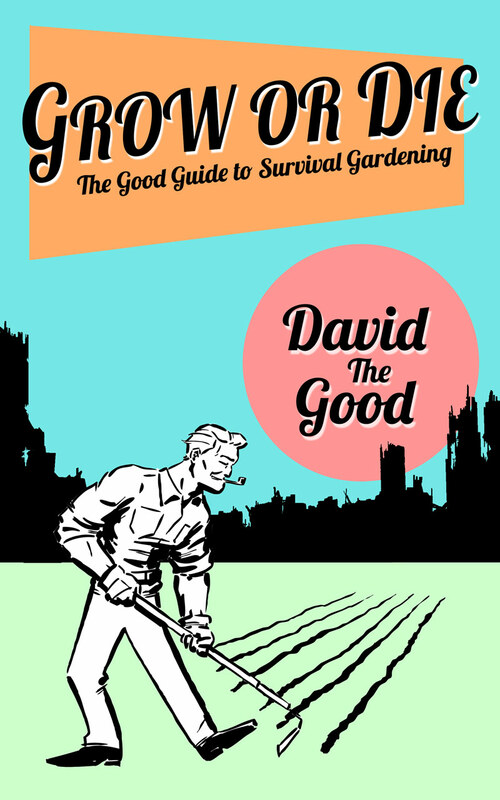 This is why I dedicate a decent portion of my book Compost Everything: The Good Guide to Extreme Composting warning gardeners of the danger and sharing the many ways in which this toxin can get into your garden and render the ground poisonous for years. In a way, Aminopyralid launched my garden writing career. I couldn’t believe what had happened to my garden. I gave it what I thought was a great, organic amendment… and lost $1000 worth of plants and poisoned multiple beds. The story needed to be shared, so I did so in Natural Awakenings Magazine and at Mother Earth News and I have continued to cover it here and in my books. And come back tomorrow – you need to read Karen’s article. Hi, David. I love watching your videos and will subscribe today, finally! One question about the Aminopyralid in manure – Does that include bags of Black Cow manure? Cary uses it mixed in with gardening soil when he plants. 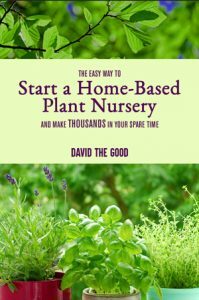 Could plants do well without it, and what would you use in place of it? harvesting. In fact, I cut one off to see if it will ripen. If it does, I can start harvesting a bunch at a time to extend the time we can eat them. The pineapple plant you gave us is huge but still waiting for a pineapple, should be soon. And I still want to try the green vine along our fence, the one with the small orange goards, just out of curiosity sake. I’m trying to remember how you and Rachel cook them. Your family is incredibly blessed to be able to do what you are doing. I just admire you both so much. Please give Rachel my love and blessings! I’m almost 100% certain that Black Kow is safe. I need to call them, though, and see how they screen for Aminopyralid. That’s AWESOME about the bananas! That pineapple will produce soon – probably in spring if it’s not blooming now. You can trick it into blooming earlier by throwing apple peels in and around it. You can get a better version of the bitter gourd than the wild one if you hit the local Asian markets. Ask them for bitter gourd seeds or a ripe bitter gourd fruit. They really are pretty harsh to eat but excellent for you. I’ll say hi to Rachel. This happened to me on a few of my hedges. My Walters verbernum, sweet verbernum, and yest today tomorrow all are affected. Will the hedges ever return to normal? I sprayed a ton of horticultural charcoal recently to absorb whatever is there. Looks like some of my sweet verbernum leaves just recently started to come back normal but pale. Most of my trees and my blackberries never recovered. Once they took up the toxin, they just sat there – some of them for four years, losing leaves in winter, leafing out a little in spring, never dying but never growing either. There’s four of ’em! Gaaaah! They’re a family, the picolinic acid family. I once grew beautiful veggies from seed, and they were on the deck set back about 7 or 8 feet. waiting to be put into the raised beds. I thought they would be safe from “True Green” there, but NO! Apparently it can be carried by the wind for up to a mile or more. It took my heirloom tomatoes and peppers over a month to recover, and all fruit on the pepper plant (over a dozen) were lost. Until then, it had been shaping up to be one of my best tomato years yet. Here’s some info with pictures of tomatoes that looked like mine. I was there the next year as well, and by then we had prohibited TrueGreen from using any spray herbicides. No use though, because the city was spraying around a retention pond not far away, and it had the same effect. That was in Indiana, but I haven’t had that problem in Florida, even though a few of my neighbors use TrueGreen or some other lawn service.